Submitted Photo Overall winners of the annual Flag Day poster contest facilitated by the Samuel Cimino Veterans of Foreign Wars Post 6472 Auxiliary in Silver Creek are pictured. Front: Honorable mention for second-grader Allison Hughes and first-grader Kylee Avila. Middle: First place overall winner fifth-grader Olivia Watkins; second-place overall winner fourth-grader MaKenzie Cook; and third-place overall winner third-grader Mercedes Clark. Back: VFW Auxiliary President Deanna Borrello, Senior Vice President Maryjane Wasmund and poster contest chairwoman Karen Kilburn. Flag Day commemorates the adoption of the United States flag on June 14, 1777. It’s not an official federal holiday and is admittedly among our country’s less-celebrated holidays, but in Silver Creek – it’s a pretty big deal. The long-running Flag Day poster contest in the district is a tradition facilitated by the Samuel Cimino Veterans of Foreign Wars Post 6472 Auxiliary. 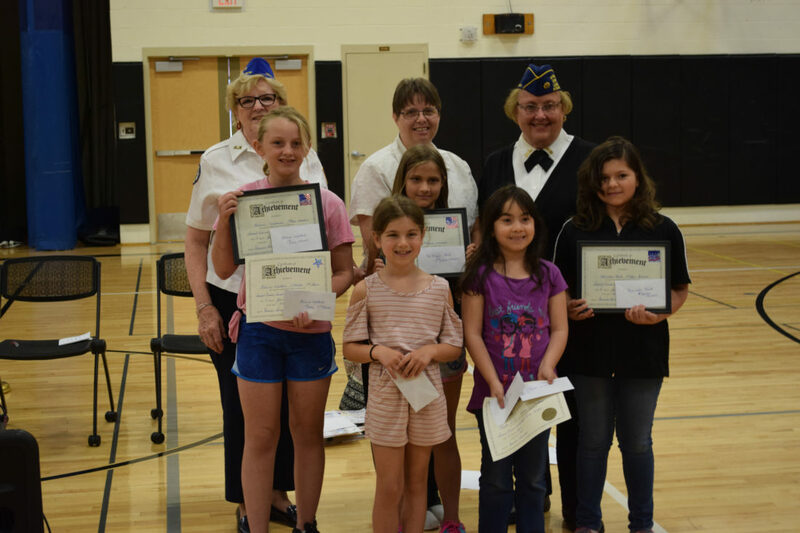 This year’s theme was “Signs of Citizenship” and dozens of entries were judged by the VFW, with auxiliary President Deanna Borrello, Senior Vice President Maryjane Wasmund and poster contest chairwoman Karen Kilburn presenting certificates to those who received honorable mention, grade-level and overall winners. The overall winners are: First-place overall winner fifth-grader Olivia Watkins; second-place overall winner fourth-grader MaKenzie Cook; third-place overall winner third-grader Mercedes Clark; and honorable mention for second-grader Allison Hughes and first-grader Kylee Avila. Following a welcome by Dean of Students Julie Harford and introduction of guests, those assembled stood for the pledge. A flag ceremony was led by the Fifth Grade Student Leadership group under the direction of teacher Courtney McIntyre. 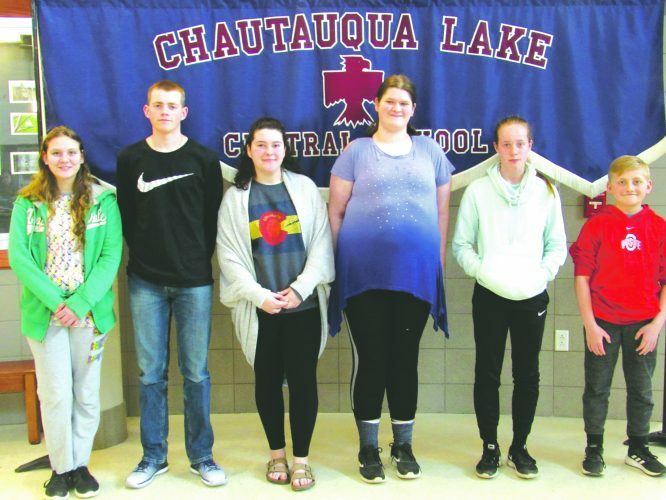 The Peace Pillows donation project began about a decade ago, when art teacher Denise Williams-Stebbins discussed the meaning of Memorial Day with her students – to honor those who have died while serving in our country’s armed forces. They then learned about the Vietnam Wall memorial and architect Maya Lin. Williams-Stebbins had a cupboard packed full of fabric scraps – and her students had a great idea. They wanted to send troops a piece of home and first suggested a quilt. They quickly decided that small pillows adorned with a pocket containing a heartfelt message was a more manageable project that could reach more people. The three-week project has become a joint effort, with some students fashioning the pillows, others stuffing them and others writing messages. 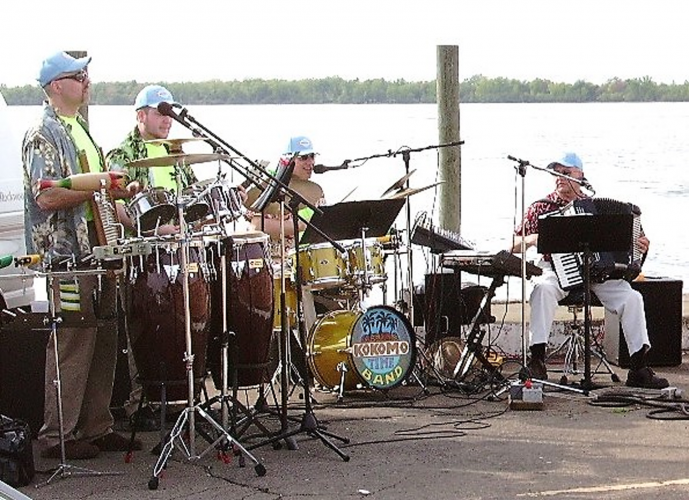 The students’ only directive is to make the notes happy, positive and upbeat. In sweet, childish handwriting the notes range from simple (“Thank you for keeping me safe” and “Thanks my herooooooo”) to philosophical (“Look off into the distance.”) Some draw pictures, some share jokes. 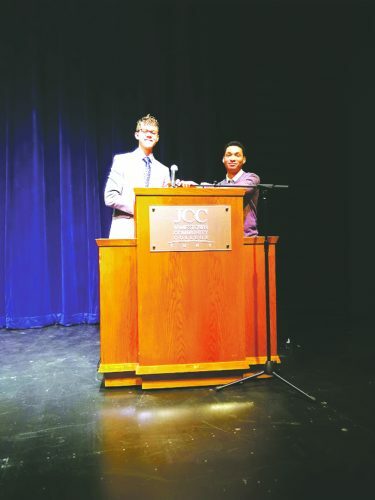 A few years ago, the class donated the Peace Pillows to Williams-Stebbins’ son-in-law Maj. David Bereda, a flight physician who distributed them at a hospital in Kurdistan. Fifth-grader Cameron Ingram and fourth-grader Hayleigh Salisbury presented the Peace Pillows to Little Valley VFW Post 8734 president Ruth Huber, who will distribute them. (Huber is also president of the 6th District Veterans of Foreign Wars & Auxiliary as well as Department of New York VFW Auxiliary Conductress.) Both of Cameron’s parents are in the National Guard, and his mother, Kristie Jones, was present as a representative of our armed forces and looked on proudly as her son – clad in a camouflage and red-white-and-blue ensemble – spoke about the Peace Pillows. Several large cardboard boxes adorned with red-white-and-blue ribbons and filled to the brim with Peace Pillows were given to Huber, who will distribute all but one of them to the troops. Fourth-grader Alexandria Parks held back a pillow she designed for her uncle Tim, who serves in the military. Borrello, the president of the local VFW auxiliary, was on hand to present an award to teacher Jennifer Restivo, the local winner of this year’s VFW National Citizenship Education Teacher Award. 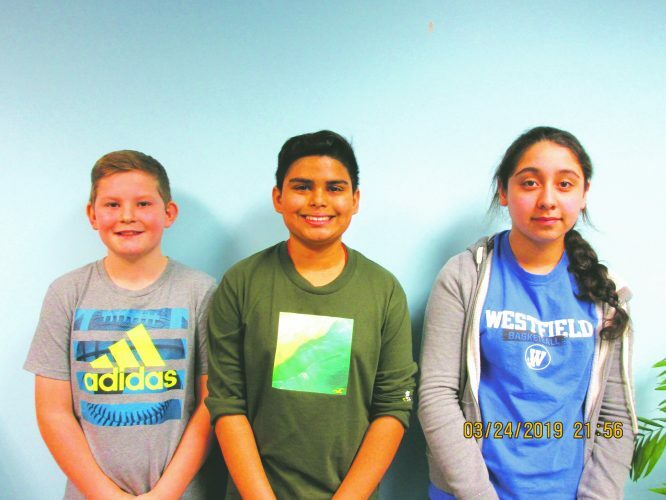 Restivo – who was selected from entries submitted to VFW posts across Western New York – will compete in July for the VFW Teacher of the Year award at the VFW National Convention in Kansas City, Mo. 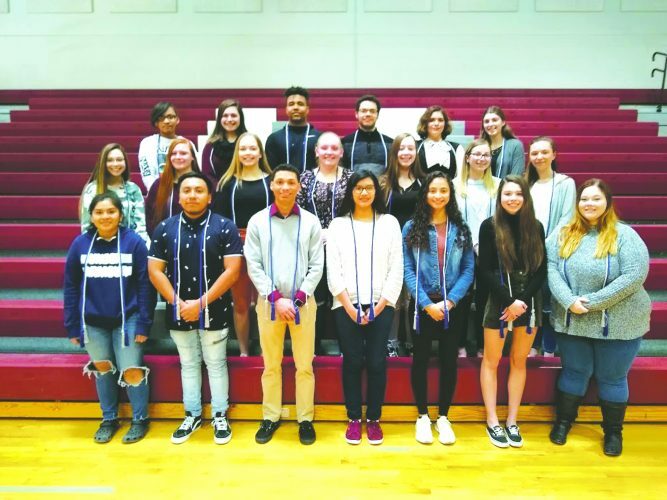 Restivo has a history of activism at SCCS: She has facilitated student Citizen Activist Expos, donation drives for local and worldwide charitable efforts, plus Social Studies presentations to the student body and community organizations, including the local VFW. Huber, the Little Valley VFW Post 8734 president, then thanked the district for its outstanding service and “true patriotism” before presenting a proclamation honoring the district to Principal Merrie Maxon, who is also her daughter. Before the hour-long ceremony closed with a rousing rendition of “You’re a Grand Old Flag” by the Fifth Grade Sunshine Singers accompanied on keyboard by teacher Joanna Gould, a few remarks were made by Silver Creek VFW auxiliary President Deanna Borrello. Please visit silvercreekschools.org for more images and photos from the ceremony.